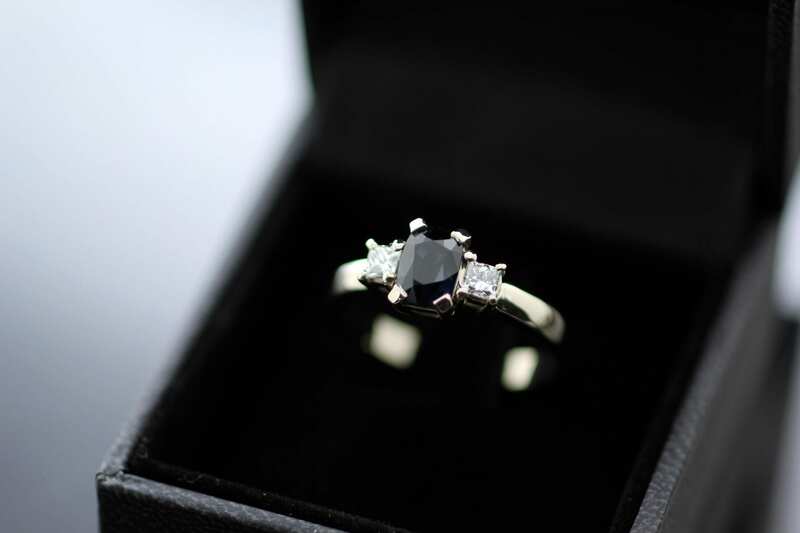 A spectacular and contemporary take on the iconic Trilogy or Trinity engagement ring created in close collaboration with a lovely client to create a truly magical, one of a kind design to be worn, treasured and adored for many years to come. 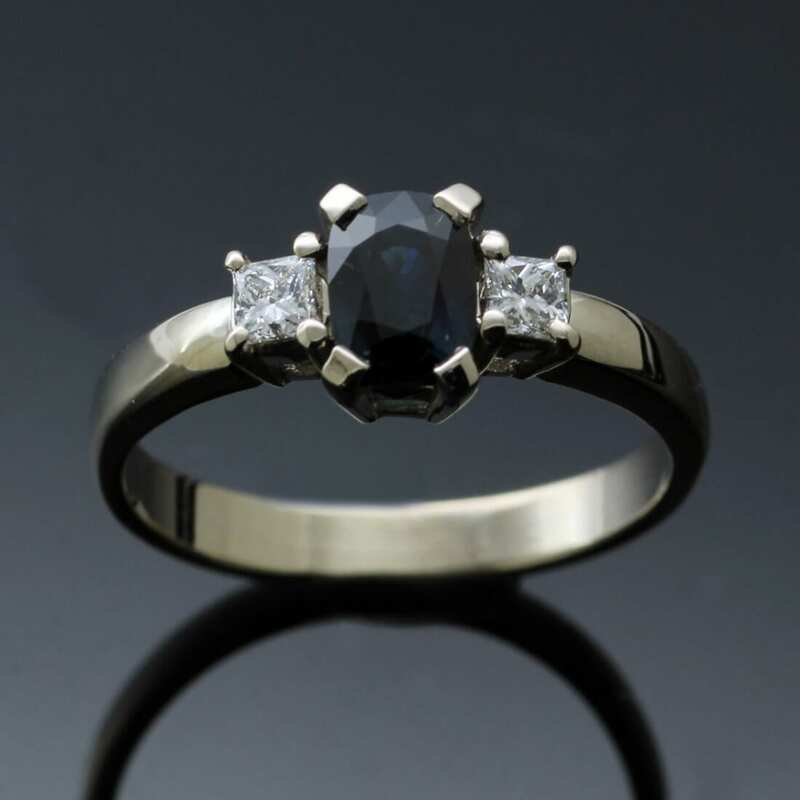 This glorious bespoke creation is inspired by the classic Trilogy or Trinity ring which traditionally includes three symbolic gemstones set side by side to represent the past, present and future of a couple’s romantic union. 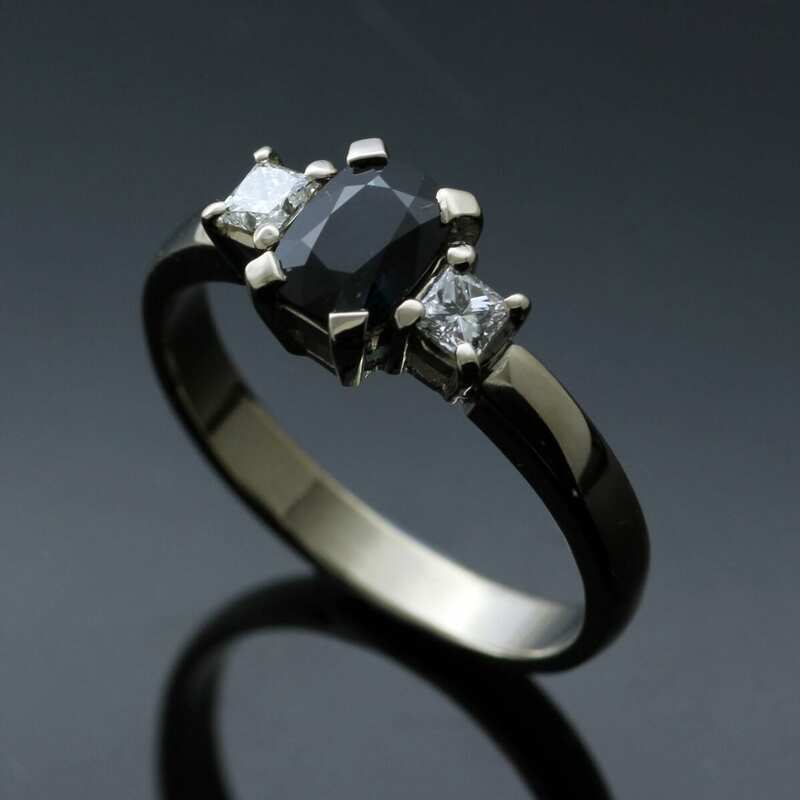 This example showcases a design which began with sketches passed between our client and Julian, taking the concept for the overall design dreamt up by our customer and refining it using Julian’s wealth of expertise and knowledge to create a chic, perfect engagement ring that has been thoughtfully designed to withstand daily wear. 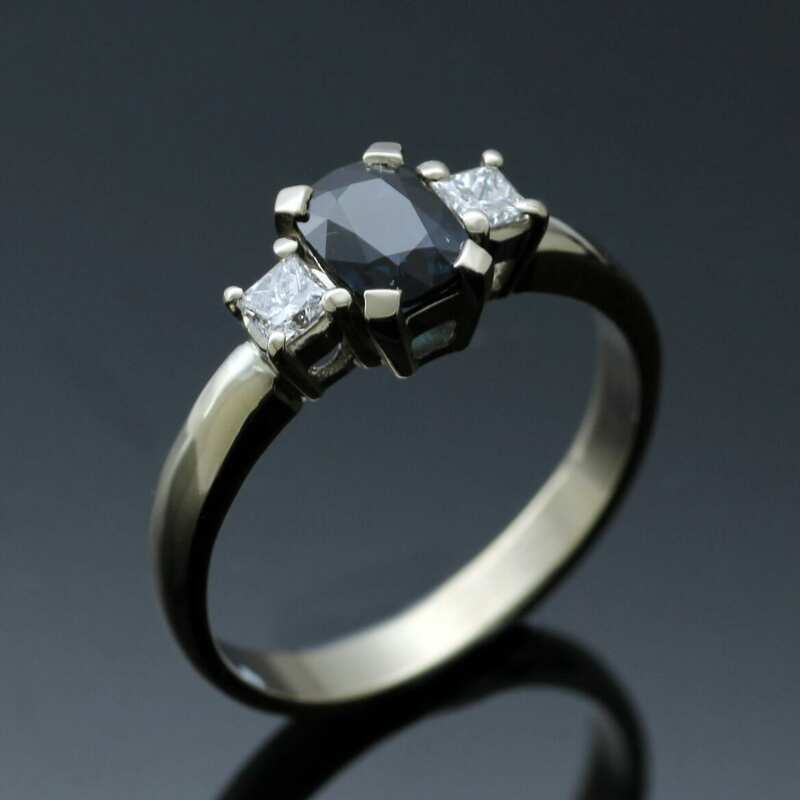 For this custom made creation Julian Stephens has carefully sourced a trio of exceptional gemstones including an exquisite cushion cut midnight blue Sapphire which is elegantly paired with two breathtaking Princess cut Diamonds to perfectly compliment the solid 18ct White Gold ring shank and contemporary claw setting. 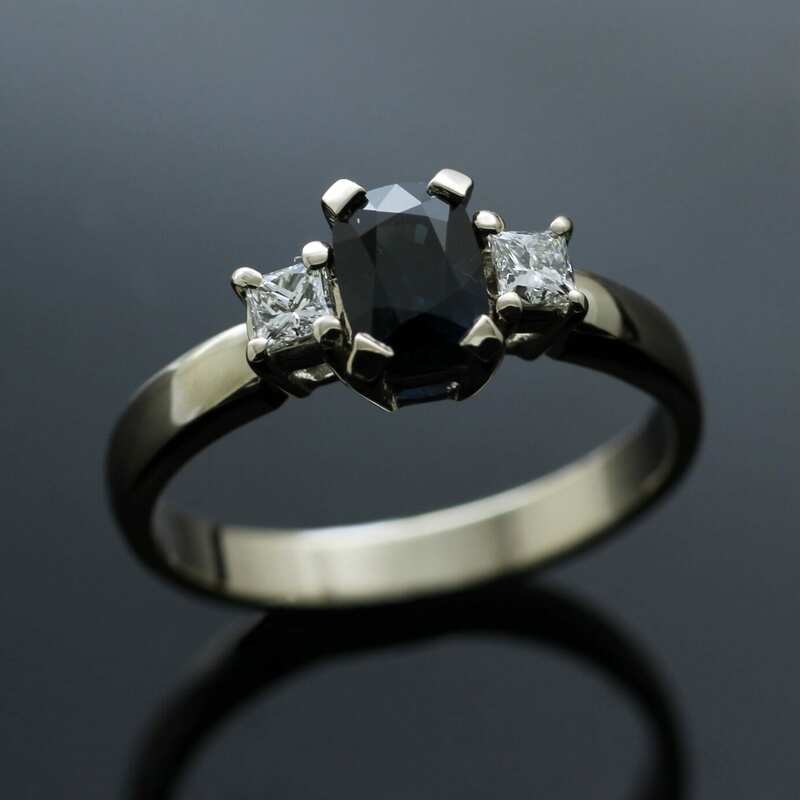 This bespoke engagement ring has been handcrafted by Julian from his Brighton workshop, hand finished with a high shine polished effect for added sparkle. This timeless engagement ring also bears Julian Stephens’ exclusive Maker’s Mark and a Hallmark.